The first indication that Stevie's music would be used in the series came mid-september when Ryan sent out a Tweet saying: "Thank you Ms. Stevie Nicks for letting us use your music in COVEN! You rock and I love you." AMERICAN HORROR STORY: COVEN tells the secret history of witches and witchcraft in America. Over three hundred years have passed since the turbulent days of Salem, and those who managed to escape are now facing extinction. Mysterious attacks have been escalating against their kind and young girls are being sent away to a special school in New Orleans to learn how to protect themselves. Wrapped up in the turmoil is new arrival Zoe, who is harboring a terrifying secret of her own. Alarmed by the recent aggression, Fiona, the long-absent Supreme, sweeps back into town, determined to protect the Coven and hell-bent on decimating anyone who gets in her way. WOW! This is awesome news. Can't wait! Personally can't stand Ryan Murphy and his crappy gay politically correct shows but this is no doubt good for Stevie. I thought she'd long ago retired the "witchy woman" thing because it's brought weirdos to her doorstep. but the penthouse must have iron bars, burly security guards and bulletproof glass. OMG!!! How could I have neglected to include the super-spooky, uber-witchy BLUE LAMP!!! Please don't revoke my Stevie card!!!! "Retired the witchy women thing"? Obviously anonymous has no clue. Stevie is Stevie, and her beliefs, style, and talent do not change like some fool's notion of what this year's fad and fashion are. Yes - "retired the witchy thing." Stevie herself said she purposely laid off it because it got dangerous (e.g. people committing suicide at her concerts; a man claiming her magical powers could "cure" him of homosexuality). Her latter albums aren't nearly as airy-fairy/witchy/mystical as the early ones - which may also be the result of being off drugs, clear-headed, grown-up and more analytical. 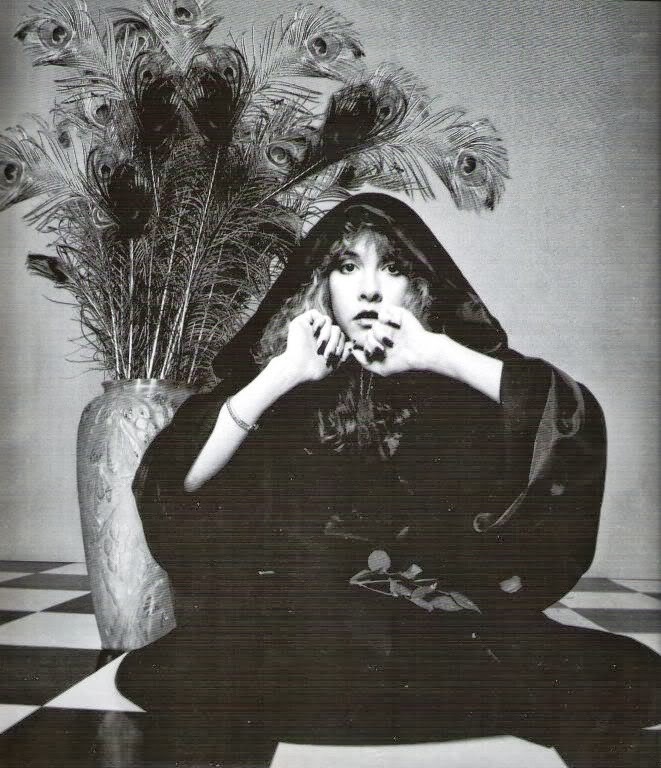 If I didn't believe in ' Magick' as it were, I don't believe I would have been a fan of Ms. Nicks all of these years! I too read lots of Fairy Tales as a child..but lets face it, Stevie brings it to a whole new level. I do hate that Stevie had to tone it down somewhat, but the truth is, she was right to do so because there are those that tend to do evil things in this world....and she has been so mis-understood in years past! I was told not to celebrate my favorite holiday...Halloween ...it's evil ! Well, I fell for that one year and I was so sad, because I missed seeing all those little childrens' smiles! How can bringing a smile to a childs face be evil ??? Thank you Stevie for being who you are ....thanks for making me smile through the years! So sad she would partner with something so evil.